Wow, these may have been the best scalloped potatoes I’ve ever had! Today, I thought I’d use a BLUF – bottom line up front. Bottom line – these are amazing! And to be fair, I think that this is one of the times when an amazing-quality ingredient really was worth it. 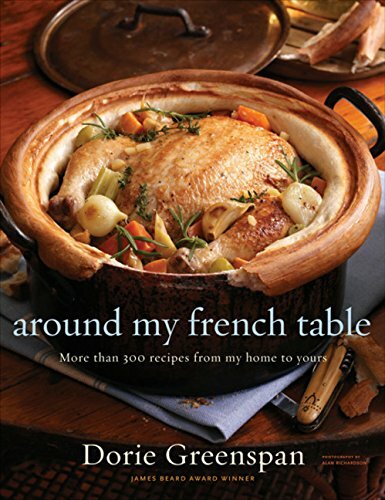 To back up, there are plenty of French recipes that have you add a blue or roquefort cheese to a dish. I think there are mixed results. Sometimes it’s overpowering, others simply discordant. For this recipe, I decided that I would try to get around all of this – and went to the cheese counter. They were very helpful in providing descriptions. The one I bought said that it was creamy and smooth – wonderful melted. Seemed the perfect cheese for my dish. The cheese, if you’re interested is “St Agur Blue”, and is French in origin, though the helpful label says simply that it is made from Cows milk, penicillium roqueforti, salt and rennet. If you’re familiar with the recipe, you can see that I’ve also cheated with the garlic. This is remarkably delicious when added to recipes – and this was to be a week-night meal. I really didn’t have time to roast more garlic – and decided not to use the leftover roast garlic that likely remained tucked alongside the roasted beets from earlier in the week. And no – I didn’t even peel the potatoes! I did, however harvest some chives from the garden! Simply put, layers of thinly sliced potatoes lay the groundwork for the chives, cheese, salt, pepper and roasted garlic. I made three layers. And then poured the half & half (with a dash of cream, yes) on top. I skipped the heating of the cream – it was going into the oven. I covered mine for about half of the time. The dish was pretty deep, so I think it took a bit more than the hour at 375 degrees. I uncovered it to get the nice crust – pushing the potatoes under the cream as I did so. This creates a dreamy dish of terrific flavors – all blend well, but have their subtle counterpoints in the dish. To say we loved it would be an incredible understatement. I served it with a simple, perfectly-grilled steak. Yes, I should have had a salad, and it would be terrific with this too. This is such an incredibly simple and fast dish to prepare – all of the time is spent while the potatoes bubble and simmer away in their cheesy-creamy bath. So while decadent, this is an easy dish for a show-stopping weeknight meal, or of course a special occasion. Not for everyday, but certainly is simple enough that it could be so. 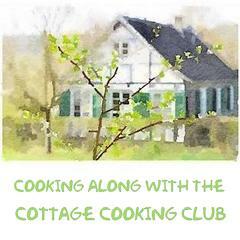 To find out how others made their potato recipes, you can check the links out at Cook the Book Fridays. since the first batch came out looking worse than roasted burnt peanuts. Second time around was much better. Your dish looks delicious! I’ve used feta and it works out great too! I can’t wait to make this one! It sounds like it would be perfect with a steak. Your potatoes look luscious! I really enjoyed this one, though it was a bit more time-consuming than a usual weeknight dinner. Steak is a great mate to fill out the meal. I’m going to look for that cheese. Creamy and smooth is my favorite kind of blue cheese. I used a Vermont blue that we’d bought for snacking but never got around to opening. It was just waiting for this dish! Have a great weekend, Candy! I agree that I would make this on special occasions or to knock anybody´s socks off! Yum!! Gorgeous!! I love all the minor mods you did and how it all worked out. Good to know not peeling the skin worked out as I was considering doing that myself, but chickened out. 🙂 I love the BLUF! I’ll have to use that with my students since it’s what you have to do in academic writing! Great looking results! Roasted garlic ready-to-do in a jar, yeah! but I do not think it will be available where I am. Thank you for reminding me that I need not peel the potatoes! All in all, this is a keeper recipe for sure! I think getting a cheese recommended at the cheese shop is just as rewarding as getting a wine recommended at the vintner’s. Yours looks wonderful!